Every day is different for freelancers. At times you’ll be so stuck in the zone you can’t tear yourself away from the computer, but others you might feel more like cooking, reading or simply taking a “well-deserved” duvet-day. One of the nicest things about working from home is the little bit of extra time in bed, before clambering out and heading to the office, sans commute, in your very house. No one can deny this little freedom is a nice one to have. 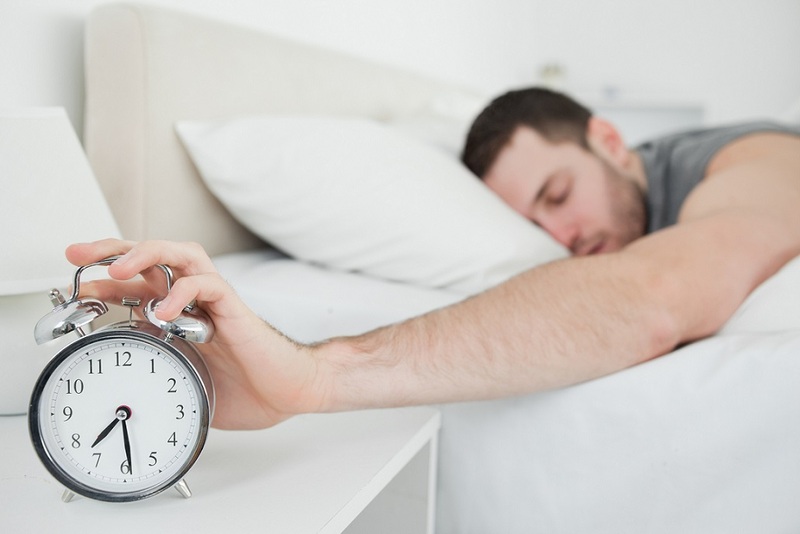 But getting into the habit of snoozing the alarm one too many times can be damaging to your work schedule and ability to concentrate. You could be getting up at 9.30, showering at 10.00 and eating breakfast, you’re only sitting down to work at 10.30 or 11.00, and then you have your emails to trawl through. This eats into a good chunk of your day, which could keep you working late into the evening or being late on delivering to clients. Try this: Set your alarm a little earlier than usual, and allow yourself one ‘snooze’. Trick yourself into a little lie-in, and still get to the ‘office’ in good time. With the kitchen and all its delights right around the corner, it’s super easy to fall into the Snack Trap, rewarding yourself for finishing pieces of work or breaking up the day by going to grab a treat. This doesn’t always have to be a bad habit – just make sure your idea of a good snack is some carrots and hummus or an apple, and not a packet of crisps or a chocolate biscuit. Try this: If you’re prone to snacking, make sure you’ve got plenty of healthy options in on the days you know you’ll be working from home. If you must, reward yourself with something a little less-healthy at the end of the day! It’s so important to give yourself an end time, where you finish up what you’re doing, log off and put everything away for the day. Otherwise you’ll become exhausted, and even run the risk of resenting working from home. Try this: Set yourself a deadline for finishing up work for the day, and try to stick to it. If you’re worried you’ll lose your flow the next day, write yourself a quick list of the things to pick up on in the morning. Just as you’re about to sit down at your desk, laptop on, coffee in hand, you notice the mantel piece needs a dusting. You abandon your desk to grab the dustpan and brush. “I’ll just get that out the way,” you think. An hour later, mid-typing, you hear the washing machine come to a halt and make to unload and hang up the clothes. Your work gets neglected for another fifteen minutes, and when you sit back down you’ve lost your train of thought. Getting distracted by things around the house: we all do it when working from home. But it’s an irritating habit we must break, for the sake of staying concentrated and getting work done on time. Try this: Close yourself into a room, get comfortable at a desk, and put on some earphones to drown out any background noise. Set yourself a designated hour to get up, have a wander round and do some chores. That’s the dream, isn’t it? Pyjamas on, no makeup, completely relaxed and working from the couch – sounds great. But what if one of your clients asks for an urgent Skype call? Cue rushing around to brush your hair, don an appropriate shirt and make sure your lips are free from toast crumbs. You could definitely do without the stress! Try this: You hardly need to wear a suit to work from your kitchen table, but making sure you’re dressed appropriately for Skype calls or unexpected guests is always a good idea. Plus, dressing properly gets you mentally prepared to be productive, too! This entry was posted in Blog and tagged Freelancers, Homeworking, Self employed on 9th January 2018 by Julie Tucker.